Camels are always fascinating for some reason. Wish I could have snapped a clear shot, though. Could have been a great shot. But this one is ok, I suppose. Opposite side of the road from the Camels. Took this shot going out today, This is the end of the mountains as you hit the plains rolling west through Herat and into Iran. It’s the same route that Alexander and others used to enter Afghanistan over the millenia. Big old dog…the Afghans usually cut their ears off and use these bad boys for fighting. Note those huge paws. If he was well fed, he’d have to weigh in at 100-125 lbs. Imagine that coming at you. 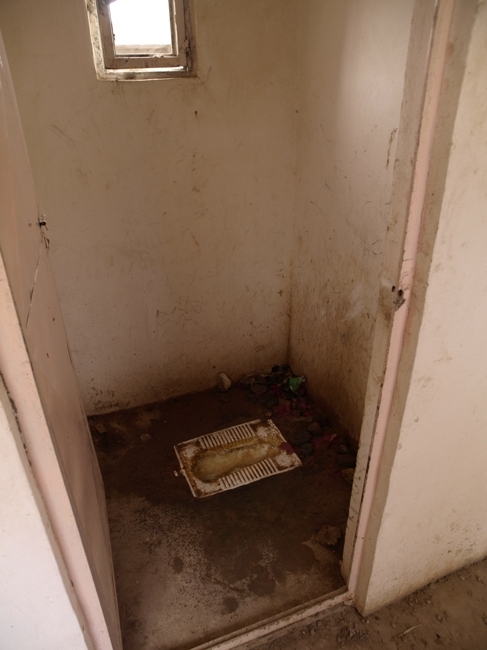 This dog was at one of the Police Stations off the main road to/from Herat. Kind of a guard dog or early warning system. Hear them barking or growling…look out. May be the Talibs coming at you. This little boy was with his father. They were contractors building a new room on the roof of the police station. Water pumps. In America, this would seem a foreign concept. But. This is how much of the world gets their water. Many do not have this luxury. It’s a walk to the creek or river or a well. Old school AC. I had no idea. Had to ask. Herat has a “season” that is called “the 100 days of wind.” It’s actually closer to 120 days. The wind blows. Hard. Constantly. For 120 or more days. HARD! Did I say hard? The wind can knock you down it blows so hard. It’s actually a blessing. Without the wind, it would be stiflingly hot. Most of Herat is without electricity. 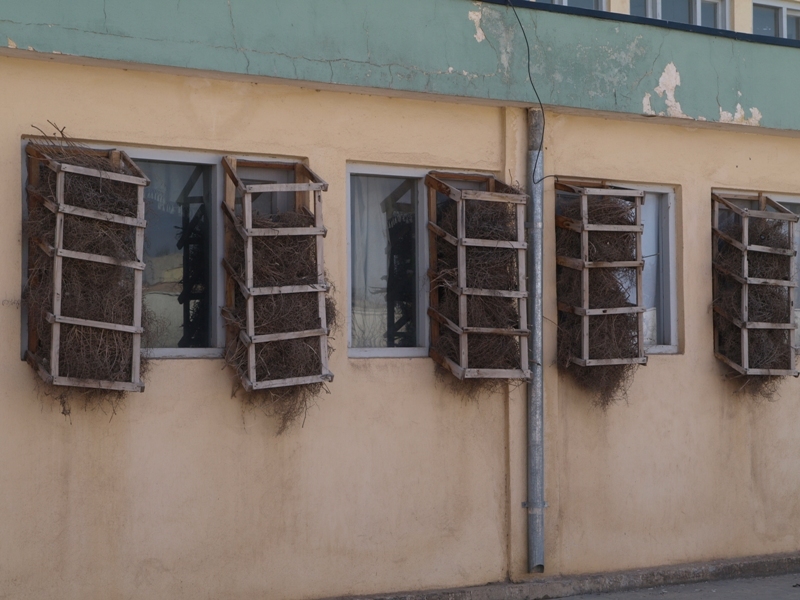 More of Herat is without air conditioning. So…they set up a water jug or container of some sort over the brambles in the windows that allows a slow drop into the wood. The wind blows through the brambles into the windows and is cooled by the water. Cools the air in the buildings. AC! I’m assuming that this is a Mother and daughter out for an afternoon stroll or heading to market. 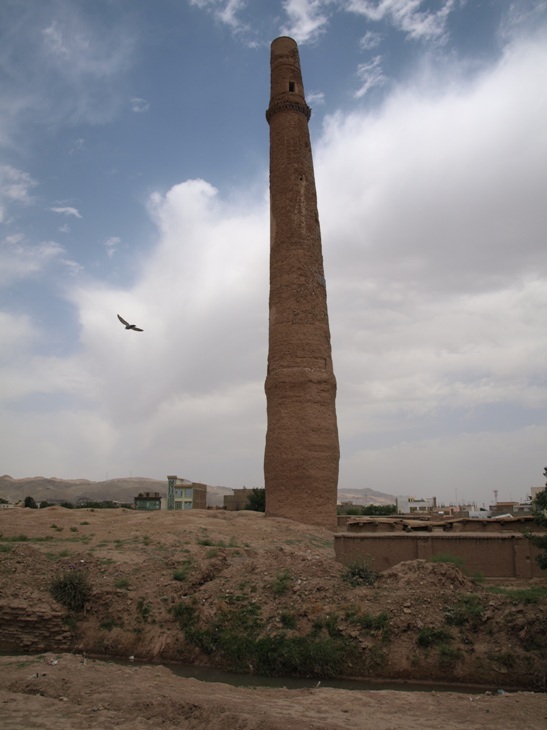 This is the famous Minarets of Herat. Centuries old. They are starting to fall because of the traffic on the road that runs between them. Personally, I can’t believe that they laid a road between them. If you get up close, you can still see remnants of the oven baked tiles that once covered the Minarets completely. I was not able to visit these ancient edifices. Afghan friends used my camera and snapped these photos for me. I’d love to see these myself. Walk up and touch them. It would be quite and experience. A falcon or hawk lazily swoops in between the Minarets searching for prey. There are 5 remaining towers in the Musalla Complex. The others have fallen. I think there were originally 7. The site was built in the 1400s by Queen Gawharshad–wife of one of the Timurid Shahs. The complex consists of the 5 remaining minarets and several shrines and libraries. 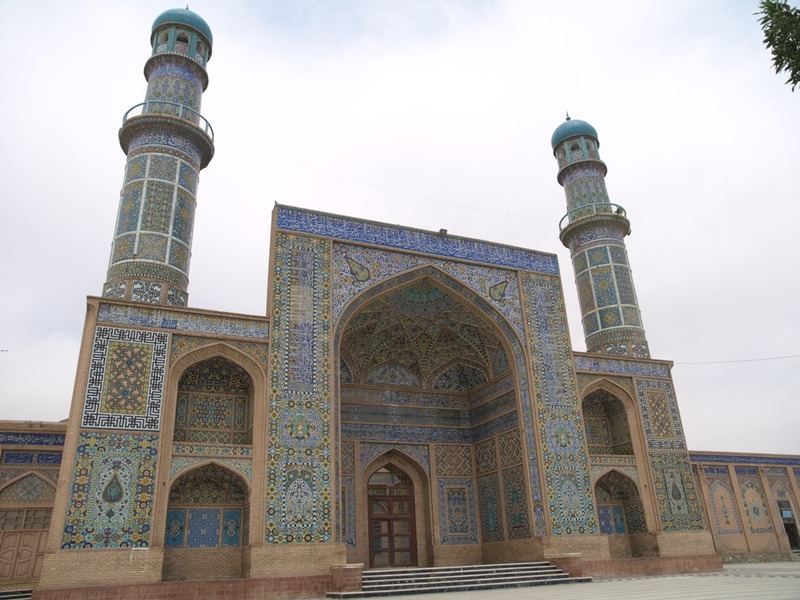 The famous Masjid Jami of Herat. One of the most beautiful structures I have ever seen. It rivals the Muhammand Ali Mosque in Cairo for magnificence. This is the peoples Mosque. It is the place where the city congregates each Friday. 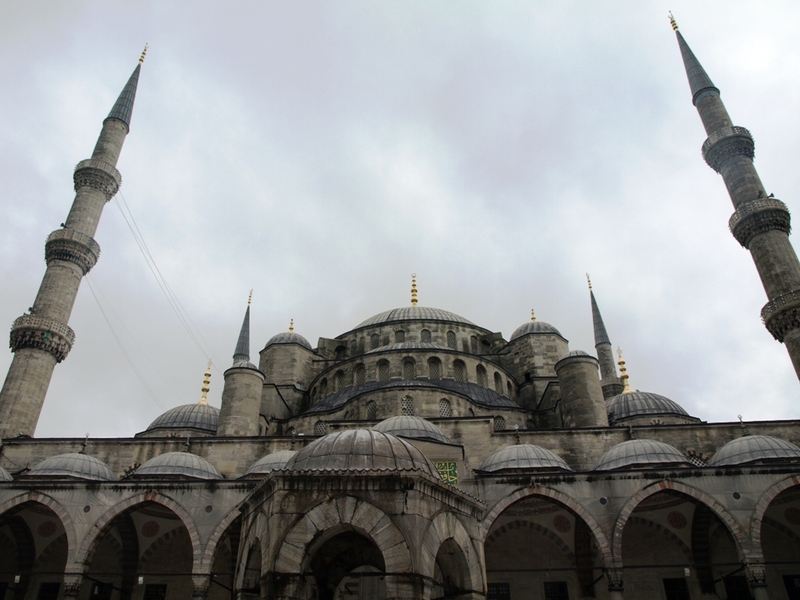 Building on the Mosque began in 1200 AD. I’m not certain as to how long it took to complete construction. It has been badly damaged several times. Genghis Khan conquered the city on his way through the region and left the mosque severely damaged. Why are people fascinated by Camels?